As representatives of the International Land Coalition, Front Line Defenders and CIVICUS, accompanied by Pastoral de la Tierra and UDEFEGUA, we have spent the last week visiting communities and speaking with local and national government representatives, human rights institutions and international partners in the development field. The message we have heard from land and the environmental HRDs throughout Guatemala is: "We are not criminals, we are not murderers, we simply want to work our land and feed our families." We support your affirmation. 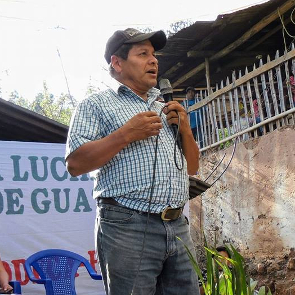 We have found that, to date, the Guatemalan government has not been able to provide an effective response to protect HRDs at risk or to investigate crimes against them. 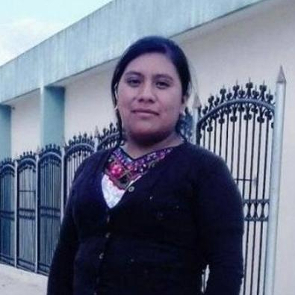 The inaction of the government has created the conditions for a climate of violence in which human rights defenders can be killed with impunity. For us, it is of great concern that the acts of violence against HRDs have gone beyond random acts and have become a systematic pattern of persecution. The state is not only failing to defend fundamental human rights, but is actively dismantling existing institutions and protection mechanisms. We have found that the Guatemalan government has not been able to provide an effective response to protect HRDs at risk or to investigate crimes against them. Instead of defending the human rights of individuals and communities, the judicial system is being used to promote the interests of powerful state and non-state groups against the interests of local communities, often through corrupt means. We have been informed by a wide variety of actors in Guatemala that the democratic system no longer works. In meetings with the communities, we have heard again and again about the feeling of abandonment from the state. Journalists from communities that have exposed the brutal reality are now being targeted. Access to land, water and natural resources is at the root of social conflict. It is evident that the state of Guatemala has chosen to prioritize an economic model of rural development that enriches a few, at the expense of impoverishing communities, encouraging migration and destroying the environment. The Guatemalan government must clearly choose between addressing these issues as part of a process of building a more just and egalitarian society, or maintaining the status quo, which will lead to greater polarization and economic difficulties for the people of Guatemala. The starting point for building a more inclusive model of rural development is the free, prior and informed consent (FPIC) of Indigenous Peoples and local communities. For good faith consultations to have value, people must trust that the government will act on the basis of the agreements reached with the communities. It is also urgent to end the stigmatization of human rights defenders and recognize their legitimate and positive role. We have been deeply impressed throughout the mission by the capacity for resilience and courage of the women and men community leaders throughout Guatemala, who work without fear for the betterment of their people and who still hope that the government will listen to them. We also recognize the fundamental role played by the Human Rights Ombudsman (PDH), the Constitutional Court and the International Commission against Impunity in Guatemala (CICIG) in the defense of international human rights standards. "We urge the government and the international community to recognize and support the crucial role of community leaders and the need for them to be included in the definition and implementation of sustainable and equitable economic development models, it is also essential that they be recognized and protected their rights to land, territory, water and natural resources," said Michael Taylor of the International Land Coalition. "During the last year, human rights defenders have been harassed and killed with full impunity. While we celebrate the Attorney General's announcement about significant progress in identifying Juana Raymundo's killers, it is important that those who orchestrated the crime are also brought to justice. We trust that the same attention will be given to the other 17 cases of human rights defenders who have been killed since January of this year," said James Loughran of Front Line Defenders.